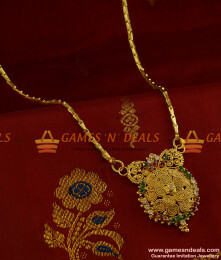 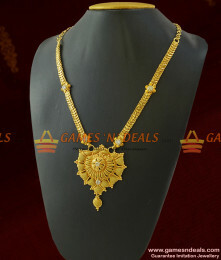 24ct Pure Chidambaram South Indian Gold Plated Bridal Design Big Flower Dollar Kerala Type Guarantee Imitation Jewelry. 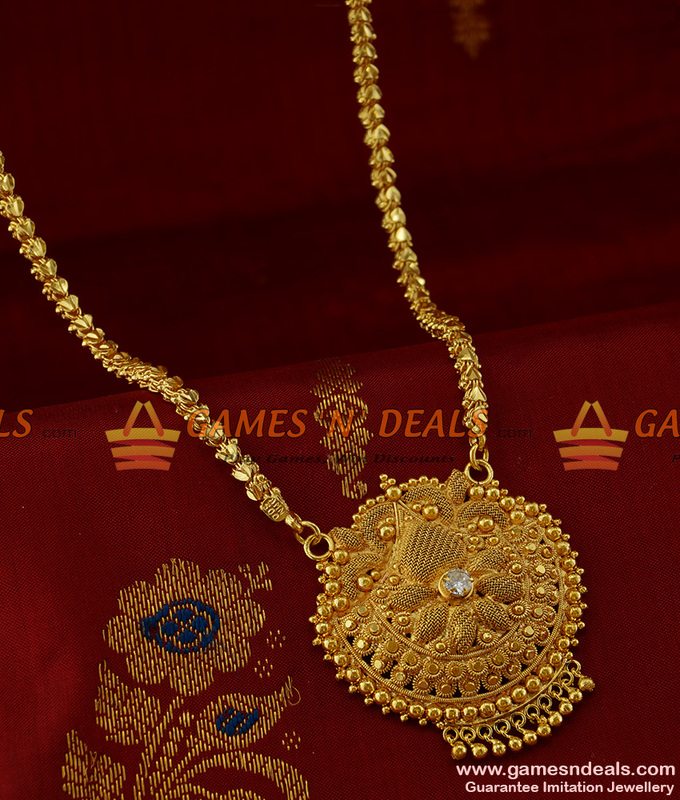 This fantastic looking jasmine chain weighs and imitates just like real gold jewellery. 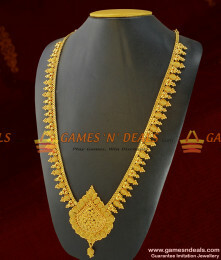 The dollar is looking fantastic design and looks like original gold dollar. 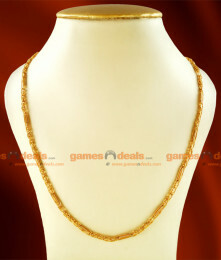 The dollar comes with trendy shape along with stone in it. 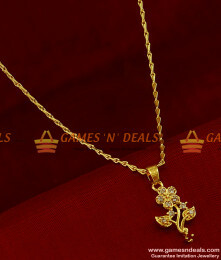 The combination of both dollar and chain is looking awesome. 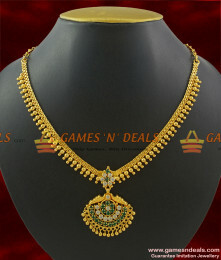 This traditional chain model comes with a thickness of 4 mm and 24 inch length and a dollar design. 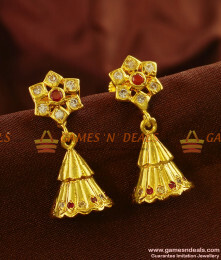 ER288 - Full Zircon Stone Cute Medium Size Party wear Imitation Ear RingJewelry Care :1. 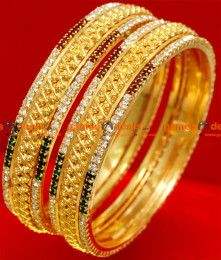 Keep it awa..
Chidambaram 24ct Pure South Indian 2 Pieces Plain Design Gold Plated Imitation Bangles. 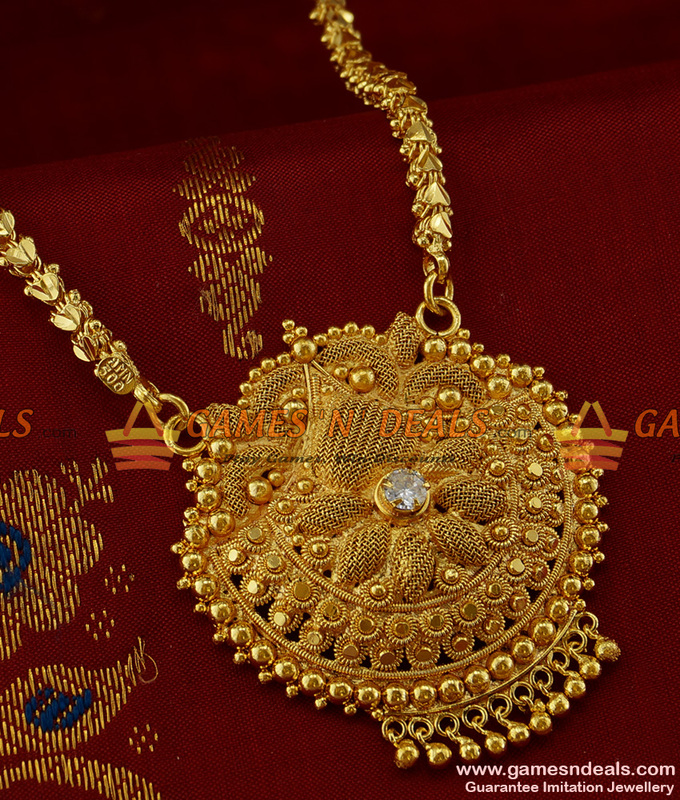 Plain h..
24ct Pure Chidambaram Gold Plated Ornament Kerala Fashion Jewelry AD Stone Ruby Dollar Design. 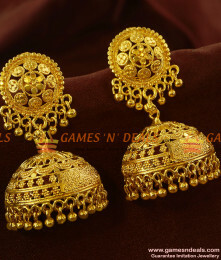 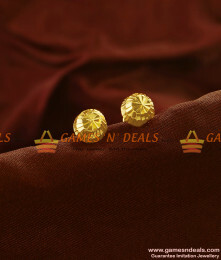 This ..
ER701 - Shiny College Wear Fashion Imitation Earring Low Price OnlineJewelry Care :1. 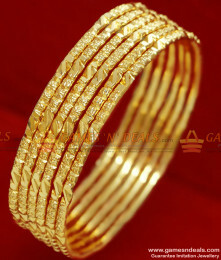 Keep it away f..
Chidambaram South Indian 24ct Gold Plated Curvy Matt Finish Imitation Party Wear Bangle. 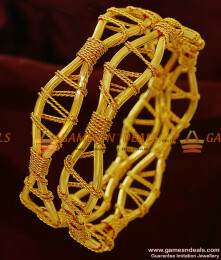 This bangle..
1 gm Chidambaram Gold Plated Jewellery Kerala Spring with Interlocked Mani Design Chain - Crafted fo..